A big days racing today with the highlight being the King George Chase. Tomorrow we have the Welsh National to look forward to. Nick Hardman (http://bettinginsiders.com) looks at both races and gives his selections. Last week we landed 2 winners from 4 selections at SP’s of 15/2 and 7/4. This week we turn our attention to the two big races over the Xmas period – the King George VI Chase and the Welsh National. I have covered both races in detail in the latest issue of the Betting Insiders Magazine and my opinion for the King George has not changed in that Silviniaco Conti is the best staying chaser in training right now. 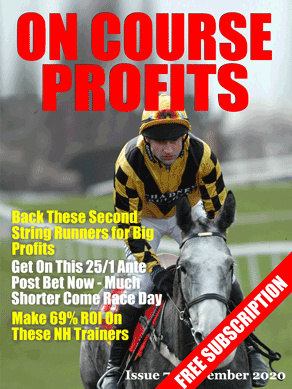 I put him up as an ante-post tip in the Betting Insiders December issue @4/1. He is now a best priced 5/2 and if you think that is value then back him. Cue Card has disappointed this season and was out-stayed by Silviniaco Conti in last year’s King George and I cannot see him reversing that form. Champagne Fever had a hit-and-miss novice season. He was beaten in both the Leopardstown Xmas festival and Punchestowns Festival and arguably his best performance was his 2nd place finish in the Arkle. He was impressive on his seasonal reappearance when he beat Alderwood over 2 ½ miles. The King George is much tougher and he is too short in my opinion at 10/3. Al Ferof easily won the Amlin Chase over 2m 3f at Ascot in November and was third in the King George last year (beaten 14 ½ lengths). He has won 5 of his 11 chase starts but has come up short tackling 3 miles in the past. He was slammed 25 lengths by Harry Topper in the Betfair Denman Chase at Newbury last February over 3 miles and followed that up with a disappointing 5th in the Ryanair. I think his form flatters to deceive and I cannot see him winning this year’s King George. I think Dynaste is a much better each-way proposition as he definitely gets the 3 mile trip and ran Silviniaco Conti to within 1 ¼ lengths in the Grade 1 Betfred Bowl at Aintree in April. Beaten 10 lengths by Silviniaco Conti in November’s Betfair Chase was a decent effort first time out this season and I think he rates a danger to the favourite. He is one for the each-way backers @14/1 or those who want to play the place market. Those that currently fit the profile are Global Power, Amigo and Emperor’s Choice. It remains to be seen if any make the final cut. Amigo for David Pipe was runner up in the trial race 3 weeks ago and finished 7th in this last year. He has winning form at Chepstow over 3 miles and acts on the ground. Oliver Sherwood’s Global Power has bits and pieces of form over staying trips including a 4th place finish in 2013 Midlands National and a win in the Cumberland Handicap Chase over 3m 2f on heavy ground in 2013 and a 2nd place finish in the same race 12 months later. Emperor’s Choice for Venetia Williams won the 2013 Surrey National over 3m 4f on heavy ground and followed that up with a win in the West Wales National in 2014 over 3m 4f. His chase form on heavy going reads 2111612. A thorough stayer if ever there was one.